​Welcome to the office. Soon you will find yourself in a relaxed environment more like your living room than a “doctors office!” Watch TV, browse around, read, relax, or watch our awesome saltwater reef! It is all up to you. 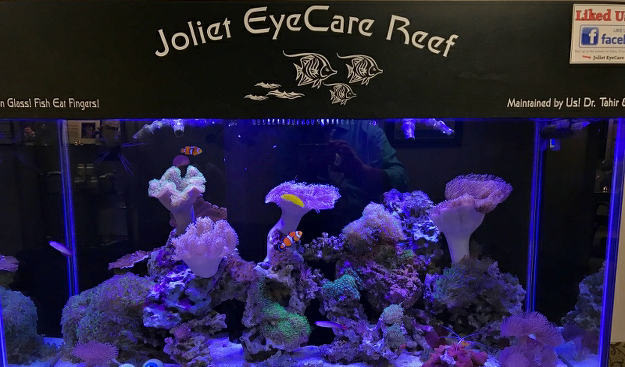 Learn more about our beautiful 105 gallon Saltwater Reef ! ​Over 700 frame in stock! ​Many products for your eye health. ​Our comfortable contact lens area. ​Sunglasses magnetic clip-on for any pair!